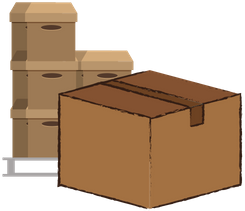 Fruit Cove Movers | NO Fuel or Travel Charges. Get A Free Moving Quote! Getting ready to move? Dreading the stress and hassle? Dread no more! St. John’s Moving and Storage is here to end the stress-filled move in Fruit Cove! We offer residential and commercial moves with safe and reliable services, no matter the size home or office you’re moving! Our Fruit Cove movers will be with you from start to finish with professional, dependable, and specially trained moving procedures to ensure you have a desirable, hassle-free, and stress-free move. With St. John’s Moving and Storage you’ll be sure to have a pleasurable experience, unlike any move you’ve had before. We’ll make sure your valuables are securely packed, wrapped, and padded, making sure each piece is handled with the upmost care and respect. Our professional team takes the extra time to ensure everything is wrapped and protected properly, so you arrive at your destination with everything you left with still intact. Our team understands the importance of protecting your items and will crate the extra fragile things like glass table tops and TV’s; plus, we’re fully insured. 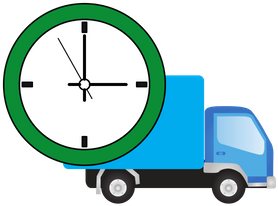 Nothing is more important to us at St. John’s Moving and Storage than you having a stress and hassle-free moving day. Our Fruit Cove movers are going to do everything to make sure that happens for you! Each one of our team members is courteous, specially trained with the speed, skills, and experience to make this the best move you’ve ever made. With a clean, detailed background check our teams hold themselves to a high safety standard, making sure to always take the extra precautions and steps to work safely, smooth, and worry-free move. We offer a Safe and Secure Guarantee, so you never have to fret about your move with us. Why choose us for your Fruit Cove move? With your next move just a short time away, why not call the professionals at St. John’s and save yourself the stress with the best Fruit Cove movers in town? Call today to speak with one of our customer representatives for your free estimate on your next move with St. John’s Moving and Storage. Whether it’s residential, commercial, long distance, or local our team is here for you and your home or business! Give us a call today and speak with our friendly staff to get started with the best move in town!